The Arteon is one of the new models launched this year by VW. BERLIN -- Volkswagen Group expects profit and sales at its core VW brand to keep growing in the fourth quarter after core earnings doubled in the three months ended Sept. 30. VW's largest division by revenue lifted its full-year profit guidance, saying it now expects the operating margin to moderately exceed a 2.5 percent to 3.5 percent target range after previously guiding for the profitability benchmark to come in at the upper end of that corridor. Operating profit at VW brand in the three months ended Sept. 30 doubled to 728 million euros ($847 million) as the unit pushes cost reductions and trims headcount as part of a turnaround plan agreed with labor unions last year. The brand said in a statement on Monday that it expects the positive business development of the first nine months at its core division to continue over the remainder of the year, without being more specific. "For the remainder of the year, the brand management board expects the positive business development of the first three quarters to continue," it said. "Our model offensive is increasingly paying off, the turnaround programs in the markets are having an effect," VW brand CEO Herbert Diess said in the statement. "By and large, the strategic repositioning of the brand is showing good results." 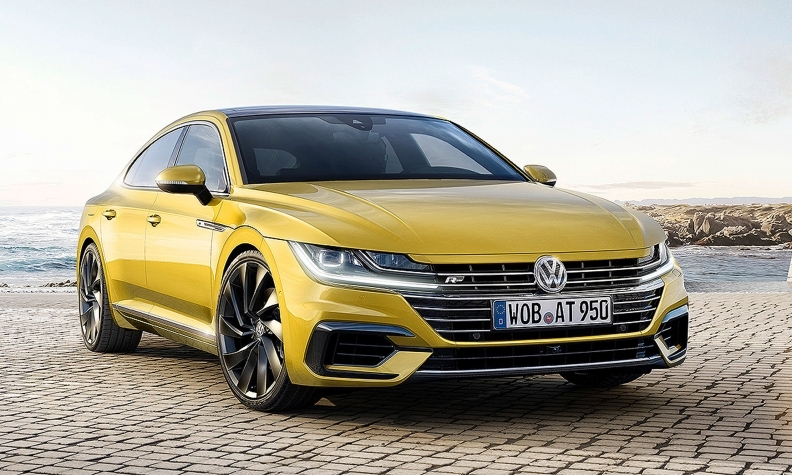 New models by VW brand launched this year include the flagship Arteon sedan and the redesigned Polo subcompact. Fixed costs at the VW brand were flat in the July-to-September period despite growing model launches, the carmaker said, without being more specific. The brand's forecast is in line with the more upbeat profit outlook announced by VW Group on Friday. By contrast, VW Group's Audi luxury division said it expects a challenging final quarter as costs for upcoming model launches weigh on results. Audi said it continues to expect an operating return on sales of between 8 percent and 10 percent this year, forecasting model sales and revenue to slightly exceed year-earlier levels. In a statement on Monday, Audi said it is well prepared for a "demanding fourth quarter in which advance payments for our forthcoming model offensive will become more strongly noticeable."